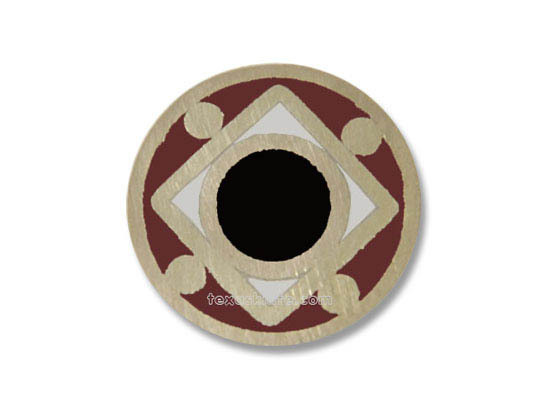 Mosaic pin in brass and black, white and red. 1/4" diameter by 12" long. Outside metal is brass. Inside metal is brass. Color inside is black, white and red.